Chinese herbal teas offer an easy way to incorporate traditional Chinese medicine into your everyday life. Dr. Bret Mosher is a certified practitioner of traditional Chinese medicine who can recommend appropriate and safe herbal treatments. At his Poway, CA, practice, he can provide a blend of Chinese herbs to help patients boost immunity, increase energy, and prevent disease. Herbal tea is a simple way to incorporate traditional Chinese medicine into your daily routine. What Is a Medicinal Herbal Tea? 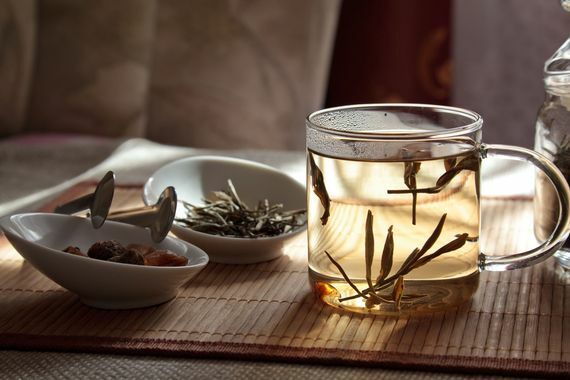 Herbs are a foundational part of traditional Chinese medicine, especially in the form of tea. Made from an infusion of hot water and one or more herbal ingredients, these teas can include dried flowers, fruits, roots, leaves, seeds, and even minerals. Ingredients are recommended based on your health goals and needs. The effects of these teas can range from boosting your immune system to treating active conditions. Dr. Mosher obtains all of his teas from trusted sources to ensure that they are free of pesticides, sulfides, and heavy metals. However, patients should consult with their general practitioner before pursuing treatment through herbal teas. As with any type of medical treatment, there is always a risk that certain herbs may interact with other drugs. An open discussion between all parties can prevent this and ensure that Dr. Mosher can safely plan your treatment. If you prefer not to drink tea, there are a number of other ways to take medicinal herbs. Powders are a popular option, and can be made into pills, mixed with hot water, or even directly ingested. Syrups are another method that often works well for children. Before starting any treatment with Chinese herbal teas, you will need to meet with Dr. Mosher. He will ask about your medical history and what you hope to achieve with herbal remedies. If it seems like an appropriate treatment, he may then recommend certain herbal teas and explain any limitations they may have. In some cases, herbal teas may make up the entirety of your treatment. In others, they may supplement other therapies such as acupuncture or craniosacral therapy. Patients should keep in mind that medicinal herbal tea takes twice as long to steep as regular tea. How Should Chinese Herbal Teas Be Used? The amount of tea you should drink will depend on the herb and your treatment needs. In most cases, patients only need to drink the tea once a day. Patients should keep in mind that medicinal herbal tea takes twice as long to steep as regular tea. What Kinds of Herbs are Used in Tea? Chrysanthemum: Infused with the dried petals of the chrysanthemum flower, this tea is recommended for a number of conditions, including head congestion, fever, and an overworked liver. When taken with åça meal, it may also help to ease digestion. Goji Berry: Goji berry or wolfberry may provide health benefits such as weight loss and improved immune function. Xanthium: This flower may be recommended to treat sinus congestion and certain skin problems, such as eczema. Cinnabar: Cinnabar is a powdered mineral traditionally used in Chinese medicine to treat palpitations, restlessness, and insomnia, as well as sore throats and cold sores. For those interested in a natural remedy for many common conditions, Dr. Bret Mosher can determine if herbal tea is an appropriate recommendation. Contact our practice online or call (858) 679-2995 to set up a consultation and discuss your options.